Part of me hates the cover, part of me loves it. Either way, the reviews write themselves, don't they? We suggest going with "Hot Damn" if you end up liking the album, or "Damn [Sad Emoji Face]" if you don't. 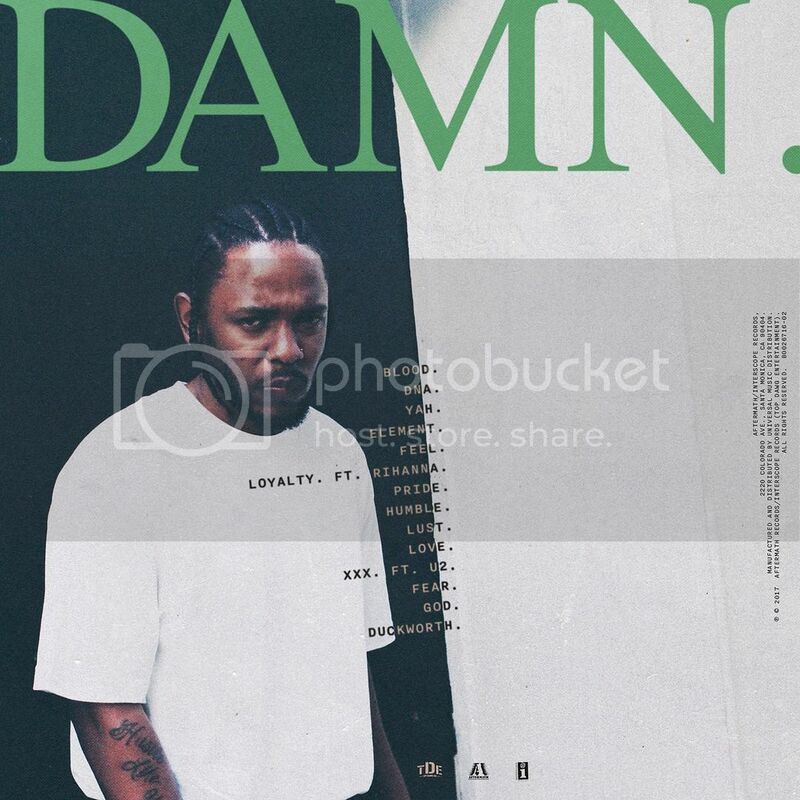 The follow-up to 2015's To Pimp a Butterfly and 2016's untitled unmastered is out on April 14th (this Friday) by TDE/Interscope and will include the previously shared 'Humble', though not 'The Heart Part IV'. But that's ok because we're being treated to collaborations with Rihanna and U2, as well as production from the likes of BADBADNOTGOOD, Mike WiLL-Made It, DJ Dahi, Sounwave, 9th Wonder, the Alchemist, and Greg Kurstin. Update: According to Apple, "the album is going live at 9pm Thurs PST everywhere". "My focus is ultimately going back to my community and the other communities around the world where they’re doing the groundwork," explained Kendrick in a recent interview with the New York Times. "To Pimp a Butterfly was addressing the problem. I’m in a space now where I’m not addressing the problem anymore." We're excited. Check out the tracklist below. Early title favourite goes to 'Duckworth'.